That would equal a total of $665, offering a savings of $365!! The question I would then ask you is,” What do you do with those pictures?” Do you ever compile and print them? Do you make a book of them? Where will they end up? Will they forever stay on your phone or computer? Isn’t it nicer to sit down and look at a book than look at a computer? The following are the pages from a Baby’s First Year Book that I just created. This book will be a treasure that this family will have to look back on for years to come. What a lovely tribute to this child! These are screen captures of the book, so are not indicative of the quality of the book. You will notice that we also did a maternity session for this book and I can do the same for you. Give me a call if you are interested in this package or if you know someone who might be. It’s the end of Dylan’s First Year. It’s been wonderful to see Dylan grow from a tiny newborn into a fun and lively one year old. Babies change so quickly in that first year of life. It’s like no other year of a person’s life. I just finished making up the book that Dylan’s parents will receive of her first year and I wanted to share it. Copy and paste the following link to see the first 15 pages of it. Dylan’s parents bought the First Year Club plan for their newborn. 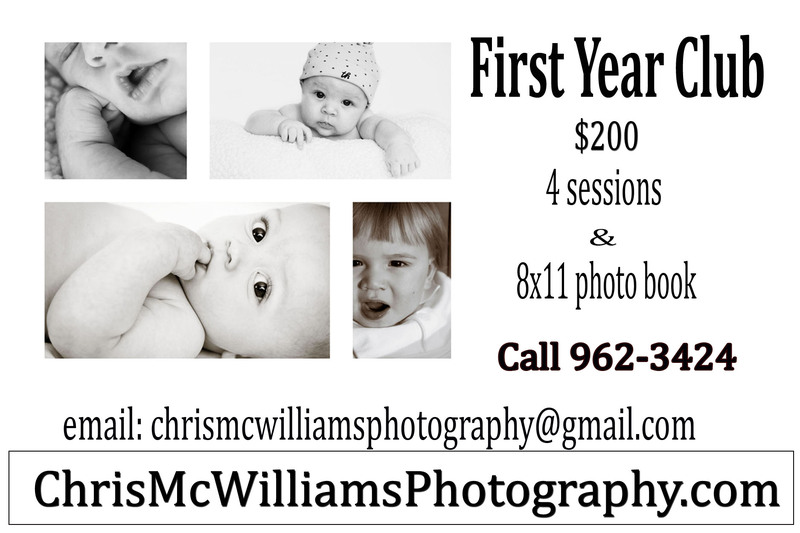 When you purchase The First Year Club, you receive 4 shoots in your baby’s first year for the price of $200. As well you receive an 8×10 book of that year. There are a number of advantages to this plan, besides the savings in session fees. The important thing, I think is that you will be sure to have a visual record of that first year. I will remind you of when it is time for your next shoot. You won’t be putting it off and then wishing you had pictures later. It’s also a great gift idea for anyone that you know who is having a baby. Let me know if you have any questions about The First Year Club. Have a look at Dylan’s book. I am also making a video of Dylan’s pictures. Watch for it in my next post.